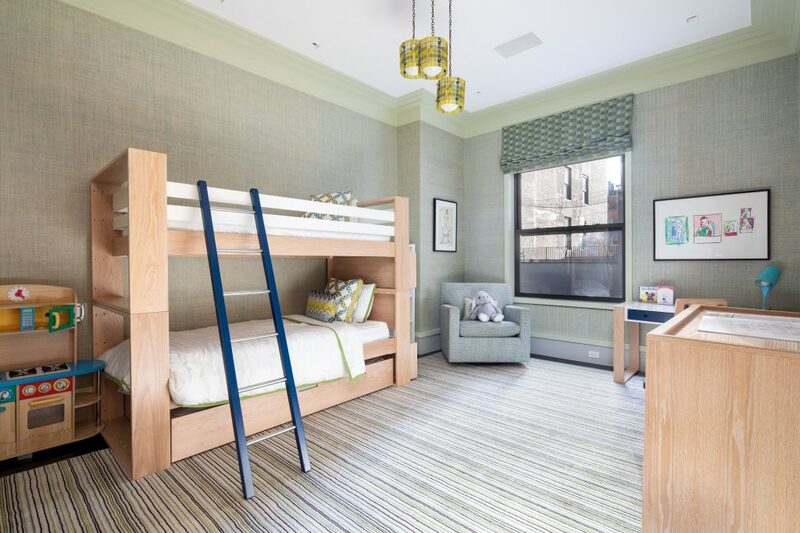 This peerless designer 4-5 bedroom, 4.5-bathroom home offers gorgeous interiors, loft-like proportions and an ideal Greenwich Village location. 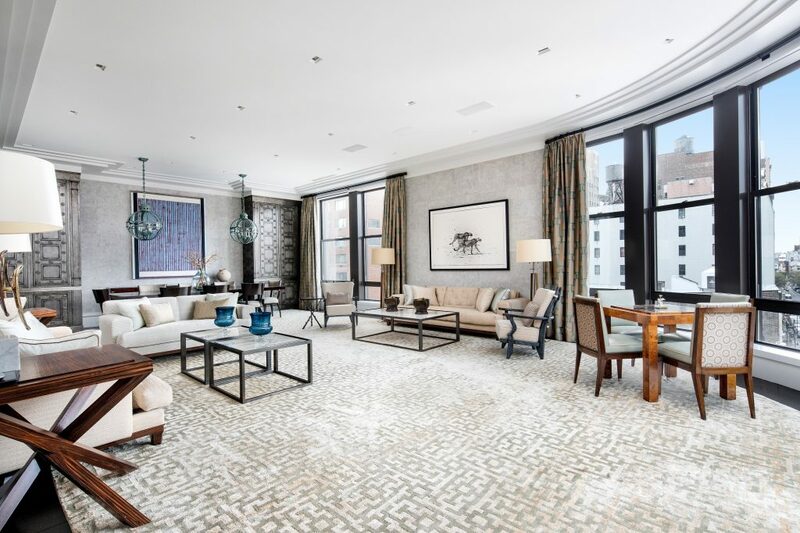 Stunning craftsmanship and premium finishes are the hallmarks of the exquisite 5,800-square-foot masterpiece meticulously designed by revered Steven Gambrel. 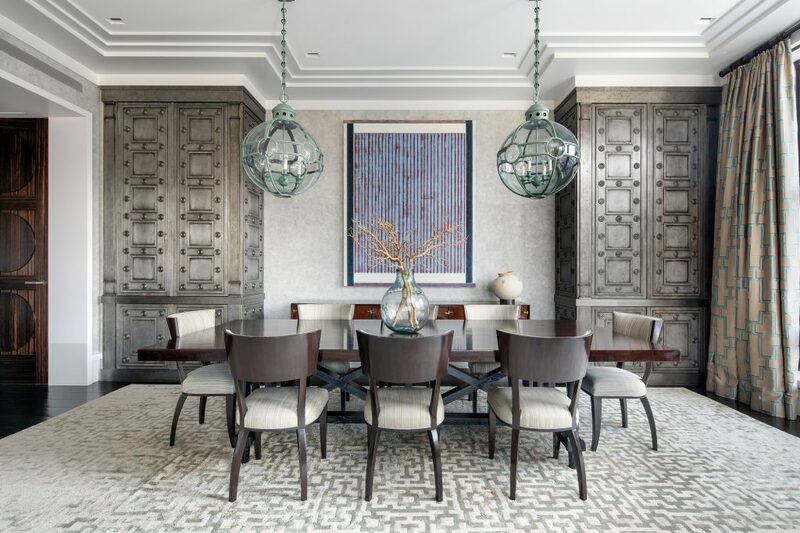 The vast layout has been artfully arranged to appeal to both residents and visitors alike, while layered materials and fine millwork add warmth and depth throughout. 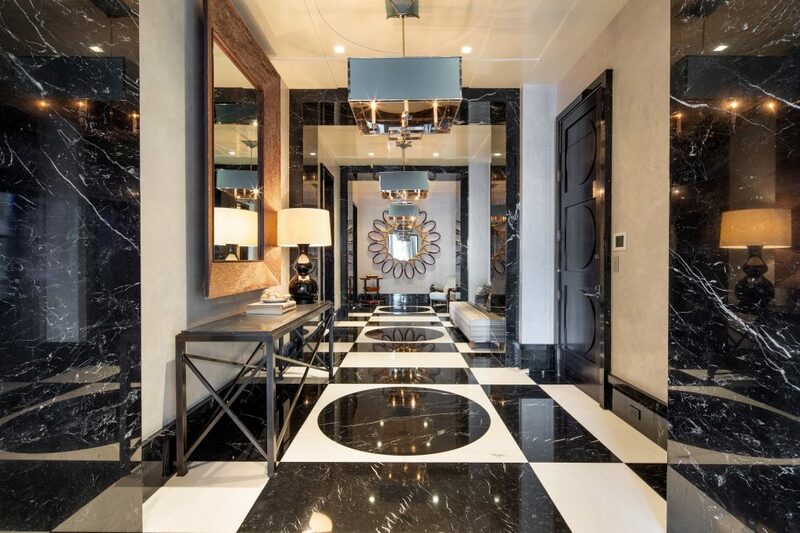 Dramatic black-and-white marble in the large formal entry gallery makes for a glamorous introduction, while a separate mud room entrance is filled with convenient built-ins and closets. 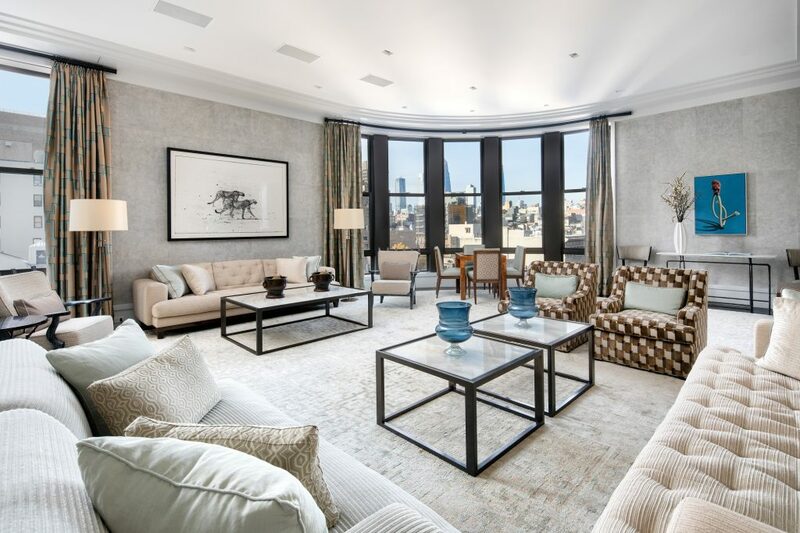 Ahead, positioned within the footprint of the building's iconic curved faade, the great room's classic crown moldings draw the eye skyward and rich full-height window coverings, oversized windows and wide-plank flooring underscore dramatic proportions. 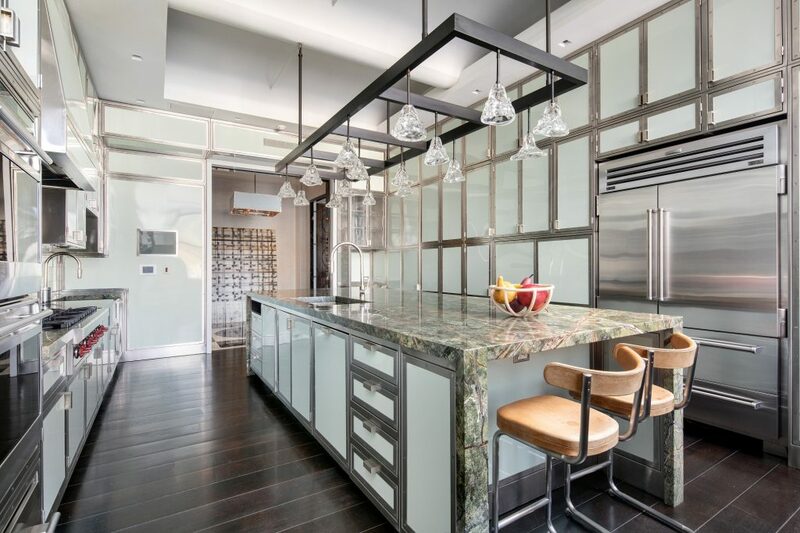 Chic pocket doors reveal the magnificent eat-in kitchen where sleek rows of floor-to-ceiling glass-front cabinetry line allow the spectacular rainforest Quartzite island to take center stage. 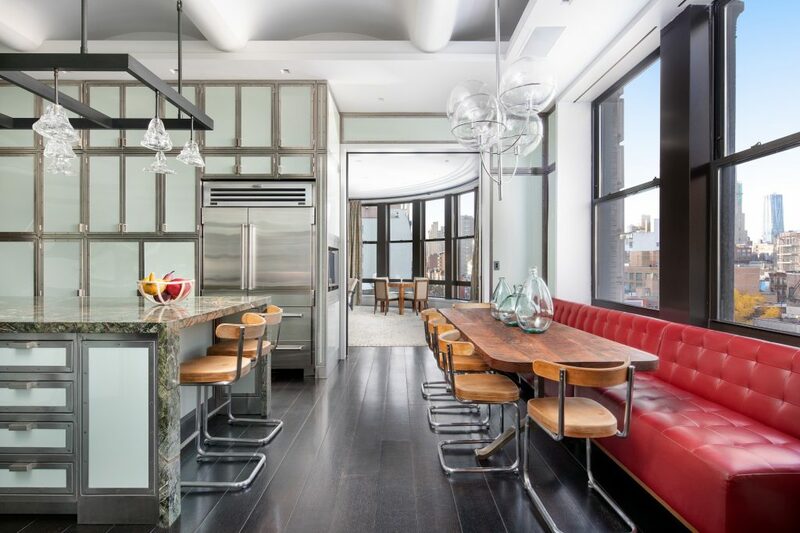 The fleet of state-of-the-art stainless steel appliances will delight chefs, while delicate handblown-glass light fixtures add an intriguing focal point and banquette seating basks in lovely Greenwich Village views. An adjacent den decorated with dentil trim opens to a well-stocked wet bar, wine room and powder room, underscoring the home's suitability for gracious entertaining. Rich, textural wall coverings add alluring serenity in the expansive master suite. 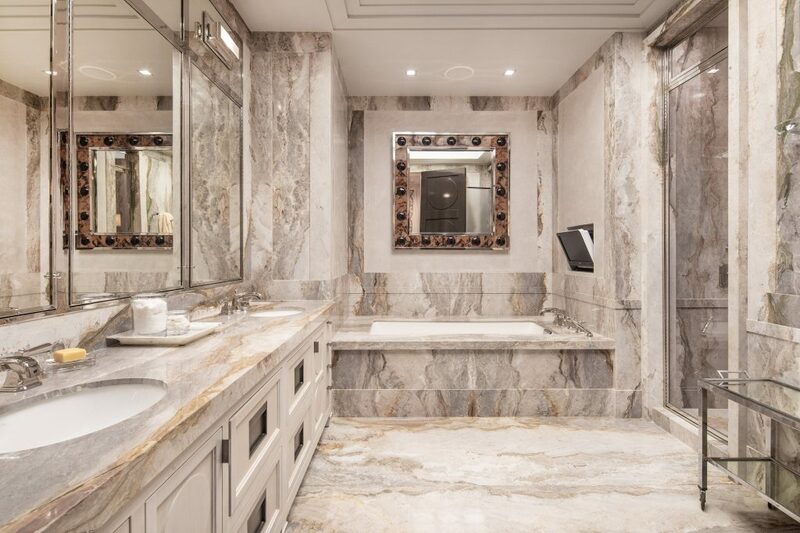 Here, the en suite bathroom is a sanctuary of Aquasanta marble featuring a soaking tub, separate shower, double vanity and private water closet, and twin walk-in closets flank a boutique-inspired dressing room. The well-equipped suite also includes a private home office, a roomy home gym and direct access to the oversized laundry room with utility sink and two sets of side-by-side washer-dryers. Another bedroom suite with private bath shares the northern view, while three more bedrooms and two well-appointed full baths are located along the south-facing wing. 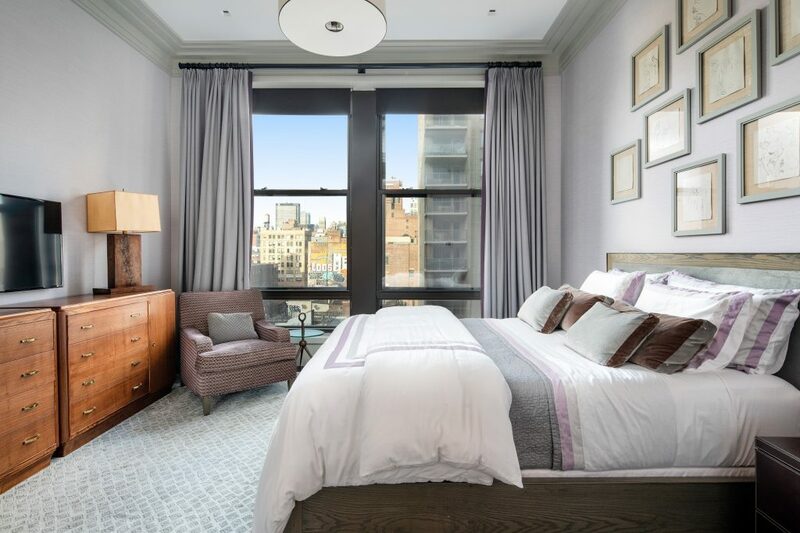 Set within a stately turn-of-the-century department store building and converted to luxury condominiums in 2001, The Greenwich offers full-time doorman service, fitness center, playroom, bike room, private storage and a common roof deck with gas grills and 360-degree panoramic city views. 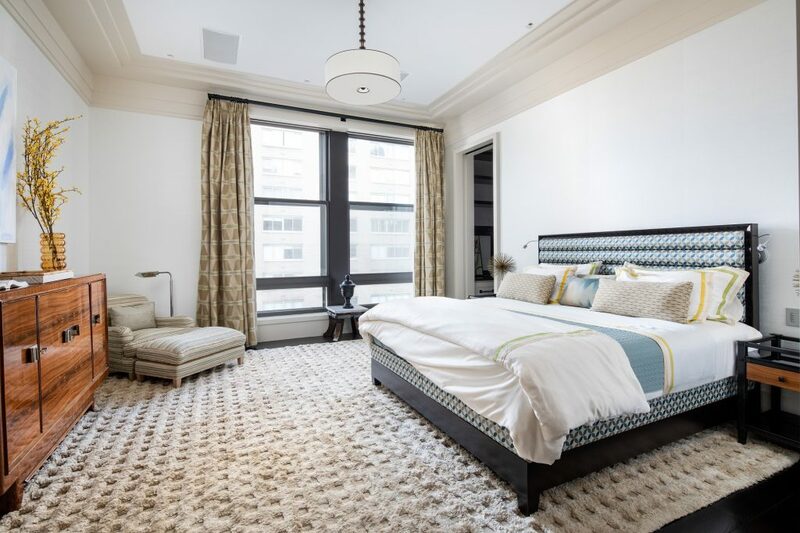 From its ideal position at the intersection of the Greenwich Village, West Village, Chelsea and Union Square neighborhoods, this gorgeous building offers immediate access to the best of Manhattan living. Trader Joe's, Whole Foods and innumerable dining options satisfy any culinary whim, and galleries, theaters and concert venues supply unlimited entertainment. The New School, Pratt and NYU campuses line the surrounding blocks, and access to transportation is phenomenal with F/M, L, 1/2/3, A/C/E, 4/5/6, N/Q/R/W and PATH trains all nearby. TOWN Residential LLC ("TOWN") is a licensed real estate broker located at 33 Irving Place, New York, NY 10003. All property listing information, including, but not limited to, square footage, room count, and number of bedrooms are from sources deemed reliable, but are subject to errors, omissions, changes in price, prior sale or withdrawal and should be verified by your own attorney, architect, engineer or zoning expert. This is not intended to solicit property already listed. Real estate agents associated with TOWN or its subsidiaries are independent contractors and are not employees. The views and opinions expressed herein are those of the real estate agent and do not necessarily reflect the official, views, policy or position of TOWN or its subsidiaries. TOWN owns the following subsidiary real estate brokerages: TOWN Astor Place LLC; TOWN Fifth Avenue LLC; TOWN Flatiron LLC; TOWN Gramercy Park LLC ("TOWN Gramercy"); TOWN Greenwich Street LLC ("TOWN Financial District"); TOWN Soho LLC; and TOWN 79th Street LLC ("TOWN Upper East Side"); TOWN Brooklyn Heights LLC ("TOWN Brooklyn Heights"); TOWN Williamsburg LLC ("TOWN Williamsburg"); TOWN Astoria LIC LLC ("TOWN Astoria LLC"). Real estate agents affiliated with The Corcoran Group are independent contractor sales associates and are not employees of The Corcoran Group. 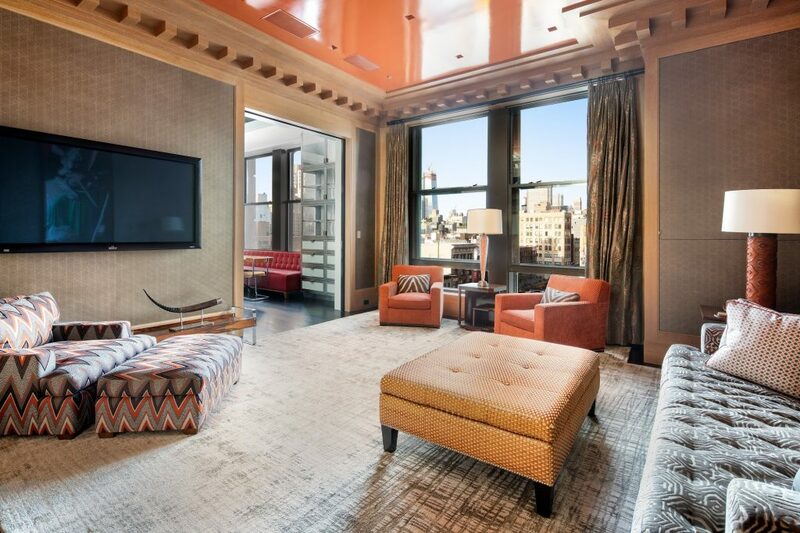 The Corcoran Group is a licensed real estate broker located at 660 Madison Ave, NY, NY 10065. Danny Davis monthly newsletter and be the first to learn about exclusive listings, open houses, market reports, and more !